I received this product for free from Moms Meet (momsmeet.com) to use and post my honest opinions. Compensation for this post was provided and this page may contain affiliate link. 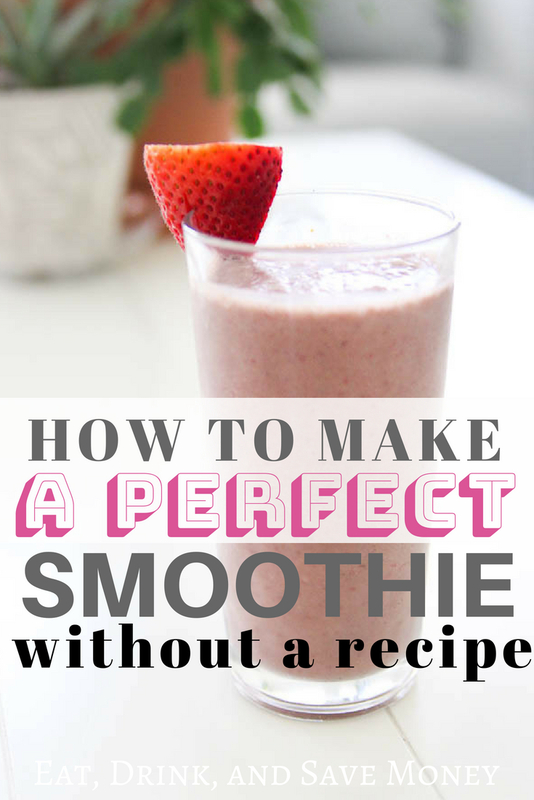 If you are searching for an easy smoothie recipe then you will love this recipe that reduces food waste. This simple method to make easy healthy smoothies not only helps you combat food waste, it helps you live a healthier lifestyle! We are huge fans of smoothies in this house, even green smoothies. My kids will down a green smoothie without complaining, probably because our green smoothies are still ridiculously sweet and delicious. If you’ve ever wondered how to make a green smoothie taste delicious, then you will love my hacks! If you’ve been following me for long, you know that I love to cook, but I hate recipes. I’ll make a recipe every now and then to help my fellow food lovers, but when it comes down to it, I prefer to share methods like this one. Why do I hate recipes so much? Mostly, it comes down to time! If I can follow a simple method like this one, it saves me a ton of time looking up a recipe and measuring everything out perfectly. When I first started using my Vitamix, I was very careful to follow recipes because I didn’t want to mess up my new, fancy blender. Now that I’ve been playing around with a Vitamix for a while, I know the hacks to creating a healthy smoothie with food we have on hand so we can avoid food waste. This simple method gives us a great tasting smoothie every time, no matter what food we have on hand. Watch this YouTube video to see exactly how we make our smoothies that decrease food waste. One of my favorite ways to reduce food waste is to keep all sorts of odds and ends just for smoothies. Lettuce going bad? Pop it in the freezer for a smoothie. Don’t want to eat the tops of a strawberry? No problem, throw it into your smoothie! 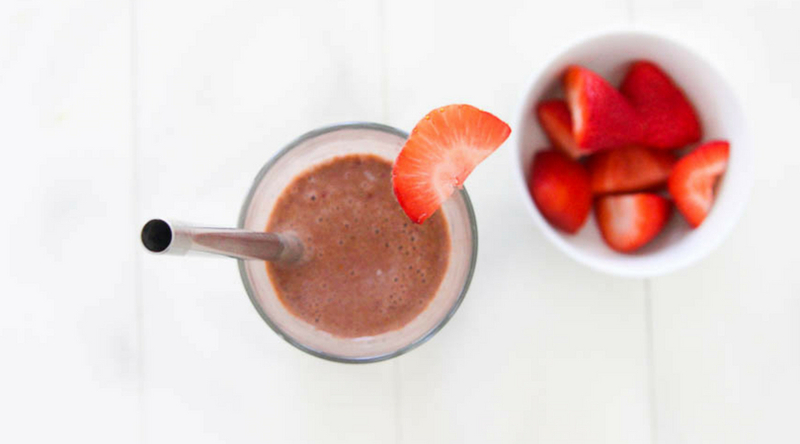 There are all sorts of crazy things you can add to your smoothie to reduce food waste. After juicing a lemon or a lime, remove the rind, compost it, and freeze the pulp for your next smoothie. Feeling adventurous? Toss some of the peel in too! Make sure to wash it first. Save the tops of strawberries to get more nutrients. Freeze lettuce and spinach once it starts to wilt. Don’t throw away the last of your herbs, freeze them and add them to your smoothie for a different flavor. Freeze browning avocados. Once it’s in the blender, you won’t know that it’s not bright green anymore! Only using the egg yolk for a recipe? Save the egg white for your smoothie. Have a little extra tofu? Don’t toss it, save it for your smoothie. Freeze it if you need to. I know I’m a budget friendly blogger, but I’m a huge fan of spending more money to get a quality blender. It’s why the only blender I recommend is a Vitamix. 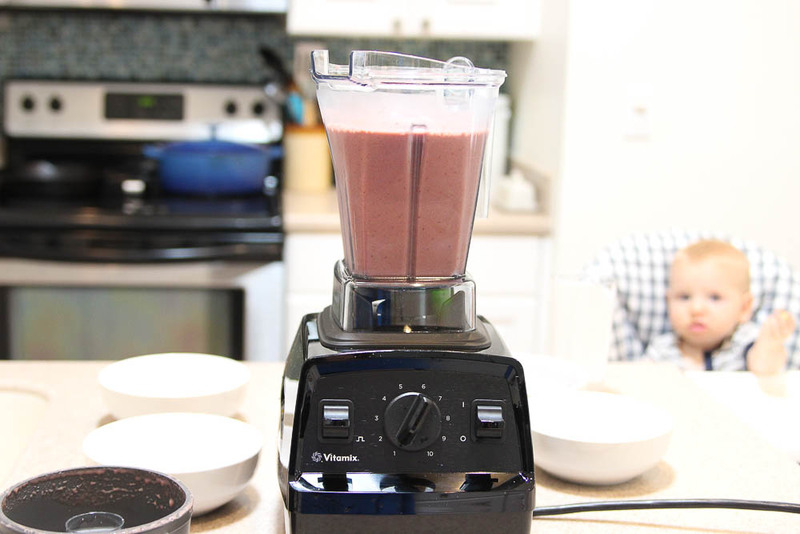 With Vitamix, the blender is so powerful that there are absolutely no chunks. When you are blending strange things like a citrus peal and strawberry tops, you don’t want chucks. Believe me, I’ve done it. It’s gross. The only way to get a really good blend is to use a high quality blender like the Vitamix E310 Explorian Series Blender. 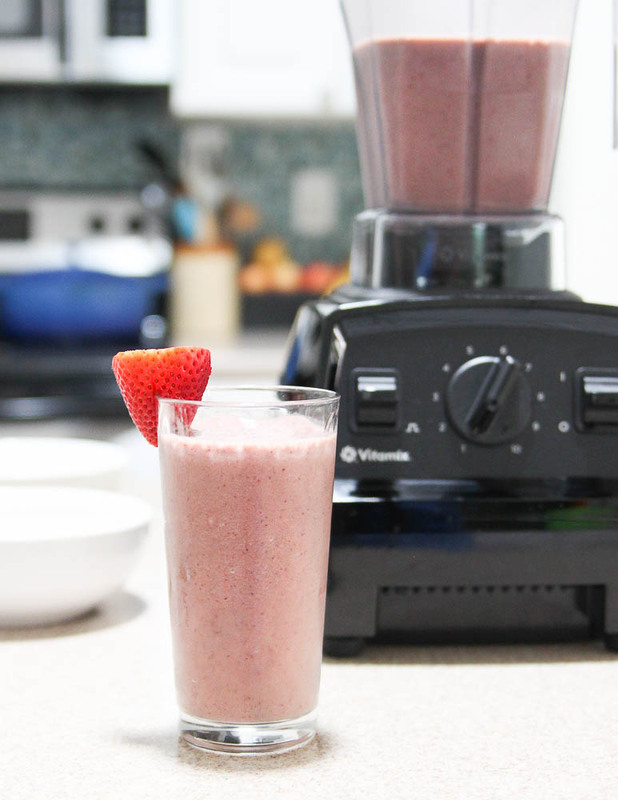 Head here to learn more about Vitamix! Like this post? You’ll love these too!